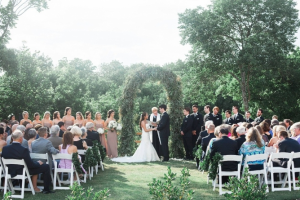 Elmwood Gardens by Provence is a unique country venue offering discerning couples rustic elegance and one-of-a-kind Texas weddings. At first glance Elmwood Gardens looks like a fairy tale garden filled with 32 lush acres of meadows, ponds, gardens, and landscape grounds. 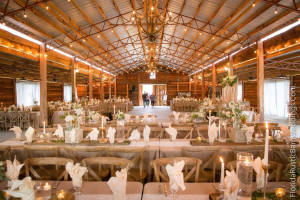 Yellow Wood is a family owned and operated event barn in Palestine, Texas that prides itself in providing a rustic atmosphere for memorable occasions. This venue is budget friendly and provides great customer service. Your family and friends can gather here just to hang out and enjoy the most unforgettable wedding. Designed and decorated to resemble a Mediterranean villa, the house features ten foot ceilings, Saltillo tile floors, stone fireplaces and antique stained glass windows. All rooms at Casabella offer access to a shaded enclosed courtyard, as well as an exterior patio area featuring an outdoor fireplace. The courtyard is completely enclosed providing privacy and elegance. A stress-free wedding environment. 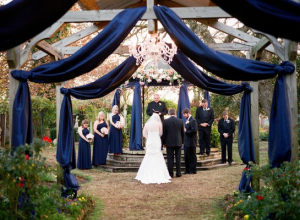 Provides a small outdoor ceremony under our gazebo or other outdoor covered space that sits on our beautifully manicured lawn. 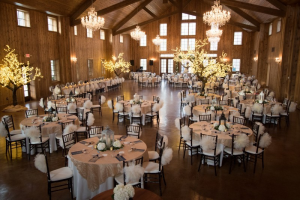 Southern Bliss also has a 7,100 square-foot barn with glass chandeliers and a raised stage, perfect for saying your vows or for the band during your reception. Perfect place to get marriage with no stress over breaking the bank. Known as the ideal wedding spot for small and memorable moments. The Storybook Inn offers personal, friendly service that makes your stay pleasant and worry-free. A beautiful home that opens to your special occasion. 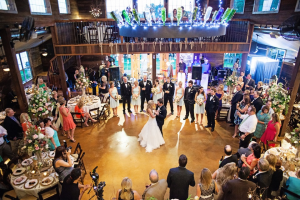 Shelton’s Place is the perfect venue for a memorable wedding. Shelton’s Place offers a groom’s suite and bridal suite that make the day much more comfortable. 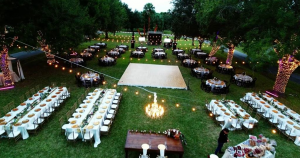 They assist with everything from planning, to set-up, catering, seating, DJ, floral arrangements, and much more! The perfect beach wedding venue for a memorable seaside experience for you and your guest. The reception venue has a gorgeous indoor/outdoor area where your guests have the option of enjoying the cool sea air on the Sunset deck that overlooks the water or relax inside and still enjoy the breeze and seaside view. Ideal wedding environment for events of 50-300 people. The Courtyard of Gaslight Square captures the indoor/outdoor aspect of the perfect venue spot. The center piece that is the oak tree covered in lights can make a great dance floor and dinner setting. 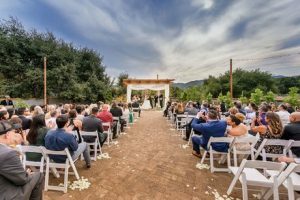 Live Oak Vineyard offers a beautifully accommodation of a stand-alone ceremony all the way up to a full ceremony and reception event. Oak Vineyard offers indoor and outdoor options, so you don’t have to worry about weather ruining your day. 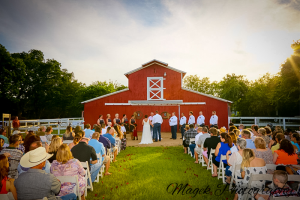 A fully restored barn and landscape this venue has the rich culture of a Texas wedding in one package. 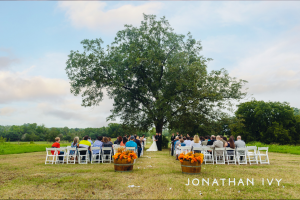 With a unique landscape of towering pine trees and lush lawns not typically found in brush country, Strawberry Pines provides the best location for any type of venue, especially for weddings. Once a working ranch, Strawberry Pines has been converted to a gorgeous venue, vacation destination, and film location. 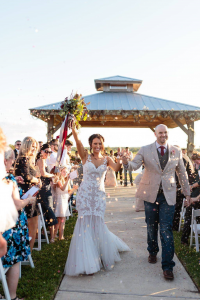 With four reception and ceremony options to choose from (Gazebo for Ceremonies, Emery’s Hall, Buffalo Bodega, and Firefly Terrace) your special day can be celebrated with choice and entertainment. 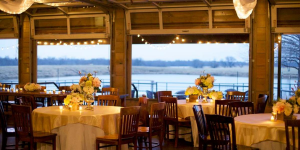 Originally a winery, Emery’s Buffalo Creek is currently a location for rustic-inspired wedding ceremonies and receptions. With unlimited floral service, decorations, food, and drinks this place is where the magic happens. 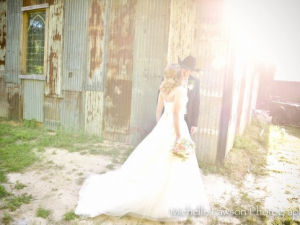 With such a rich history and memorable scenery Prairie at Round Top could be your wedding wonderland. Your wedding party can stay the entire weekend in uniquely styled cottages on a private haven in the countryside. With big and small wedding package options your wedding day with that special someone can begin to feel like the first chapter in your book writing itself. 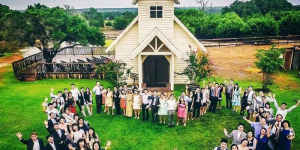 With excellent hospitality and committed staff, Red Rock Vineyards is the best wedding venue in Bastrop County, Texas. 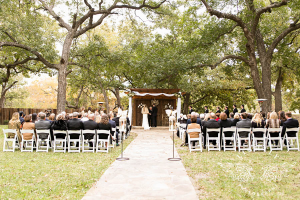 A wedding venue with amazing ratings and awards to prove that this venue is the best in Texas. Come join Red Rock Vineyard with the Rustic Elegant charm and family welcome to make your wedding day an everlasting moment. Red Ridge is a rustic & elegant wedding venue overlooking the Colorado River Valley with breathtaking views. The website for this wedding venue is very helpful and easy to use. With options ranging from indoor and outdoor settings, the hilltop ceremony site among pines and oaks are truly an enchanted setting, covered patio & deck with bistro lighting creating the perfect ambiance for cocktails, and an indoor Grande room with vaulted ceilings, exposed beams, oversized windows and a natural stone fireplace. 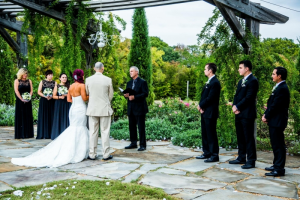 A landscaped with plenty of stone features, well-trimmed grass, and beautiful outdoor scenery makes this venue the picture perfect spot for a picture perfect wedding. With professional staff providing assistance and catering makes this the best spot to have a stress free marriage. A place with a story and memory behind every corner of this peaceful and mindful location. 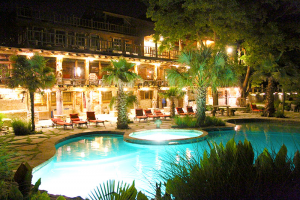 Settles Point is a luxury wedding and extended-stay venue in Harker Heights, Texas. The suites at this venue are absolutely stunning and provide everything you need for the wedding. With various options for pricing this venue is affordable and worth every penny. 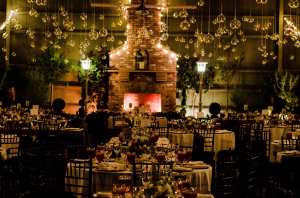 Cathedral Oaks will exceed your expectation with amazing indoor and outdoor event settings for the perfect wedding. This venue is state-of-the-art with up to date audio/visual capabilities and committed staff member there to make your day special. 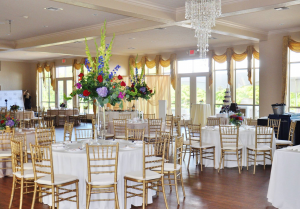 Casual or elegant, large or small, Cathedral Oaks is the perfect place for the perfect occasion. Created by a husband and wife, Everlasting Elopements bring experience and passion to your wedding day. With hundreds of great reviews this venue has a great record of successful weddings. Marriage Island known for its enchanting setting with endless package options. 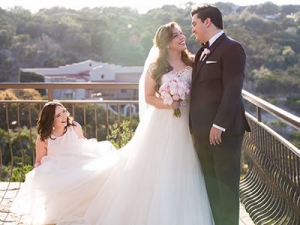 Known to be the best wedding spot in San Antonio and being awarded 2011 San Antonio’s Downtown Best Award for best place for a downtown wedding. Come enjoy Marriage Island by experiencing the agriculture and brilliant structural atmosphere. 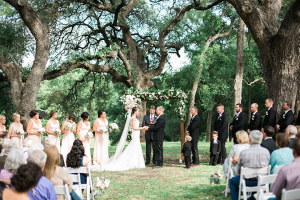 Where Hill Country weddings are our passion. Nestled in the heart of the Texas Hill Country, Blanco, Texas, is ideal for serene travels to and from the Austin, San Antonio, Fredericksburg, and San Marcos areas. 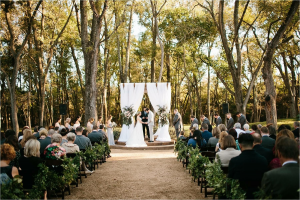 We offer an unforgettable setting with picturesque views of all the beauty that Central Texas has to offer. 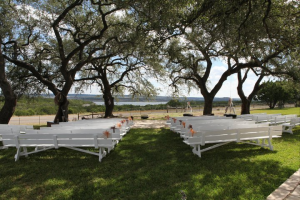 At cricket hill ranch, we cater to couples looking for a quiet yet luxurious country setting to host their wedding. We offer something special for both the bride and groom. each of you can enjoy your own stress free private spaces while you prepare for your perfect wedding day together. The main goal of this venue is to design, build and manage the ideal elegant wedding for your special day. Staff members are ready to assist individuals ranging from brides to business owners, and are adaptable to any special occasion. The venders for this venue have been specially chosen for their enthusiasm and knowledge of planning that perfect wedding. 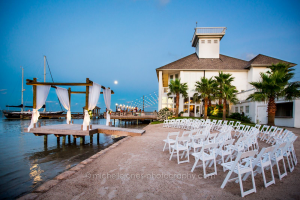 Highly recognized as one of the premier venues on the Gulf Coast for weddings, rehearsal dinners, and receptions in Texas. This venues is available for weddings and receptions from an intimate party of two up to three hundred guests at any of several outdoor locations or inside our large colonial estate. This luxurious, elegant and a peaceful country setting venue will help to create that memorable experience, you will cherish forever. 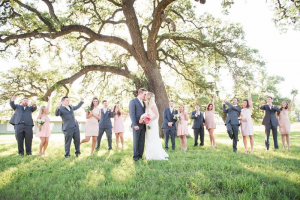 Moore Ranch provides a rustic, yet elegant venue for a memorable Brazos Valley wedding, reception or special event. With rich history and family owned experience you can definitely find a way to make long lasting memories here. With such great reviews and well recommended in the community, how can you go wrong with Moore’s Ranch? 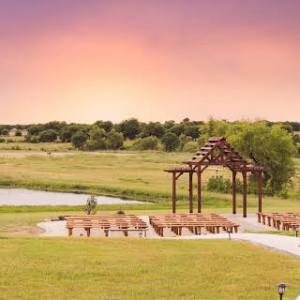 Really fun venue to have your wedding at, Broken Arrow Ranch has the best amenities and activities for that special moment. Well-known for their shooting range package deal. For a wedding to be perfect you need to have a well-adjusted plan. Double Creek Crossing has been to be a stress-free venue with staff members that do the planning side-by-side with the bride and groom. 500 acres of thriving pecan trees, Royalty Pecan Farms offers the most unique setting in the Brazos Valley. Guests will enjoy an expansive view overlooking the orchard with the skyline of Bryan and Kyle Field on the distant horizon. 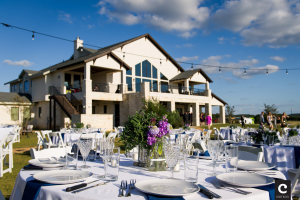 At Redbird Ridge their mission is to give you a charming hill country space for your event while also striving to maintain reasonable rates. This venue has great booking availability and great wedding package deals. 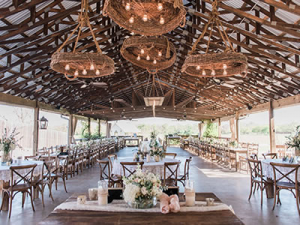 “The ranch evokes a feeling of true rustic elegance” Twisted Ranch Wedding Venue is a 200 acre gem nestled in the heart of the Texas Hill Country. This venue has a deep passion for designing the perfect wedding for the bride and groom. This venue has multiple vendors ranging from catering services, florists, cake designers, photographers, entertainment, and much more. 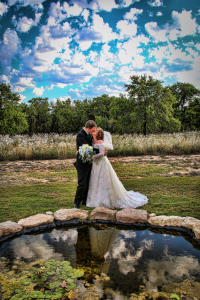 Creating lasting memories, Falcon Point Ranch is the ideal setting for that special day. Created as a stress-free environment, this ranch claims to have the nicest accommodations in both land and sea. You can’t go wrong with this venue especially on how flexible and adaptable this dedicated team is to make your marriage a day worth remembering. A well-professional environment with staff dedicated to work on your wedding with only the best accommodations available in Texas. This venue is where dreams come true and where the party starts happening! 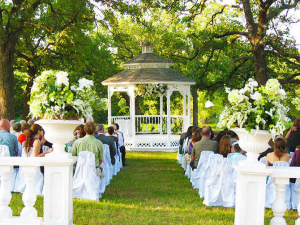 The Grove At Denton Valley is a beautiful venue located just 17 miles outside of Abilene,TX. Family owned and operated, it is our mission to bring beauty and serenity to every occasion. We understand that this is your big day, so we’re committed to going above and beyond to ensure that even the finest details are perfected. We’re always happy to meet with you anytime to show you our venue and discuss the details of your event. Whatever your dream is, The Grove At Denton Valley can’t wait to help you achieve it. Romantic, Rustic, Vintage or Elegant, The Meadows Wedding Venue is the perfect location for your ceremony and reception. Our tall oak trees , Bermuda grass lawn, and Celebration Hall add to the laid back atmosphere of the Meadows. With an amazing outdoor area with a great scenic background this venue will blow you away. With an outdoor dance floor and catering options the imagination can go wild at Rancho La Pergola. 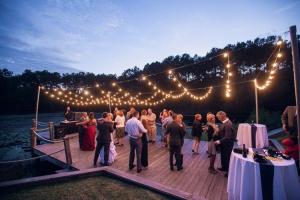 This venue prides itself on anticipating your every need for your special outdoor private event. With a gorgeous view of the bay and the most elegant wedding reception you can’t find a better wedding venue by the ocean than NAMAR. With multiple of vendor to choose from you can find the right one with little stress involved. The catering service provides gourmet by well renounced chefs and great bar options to choose from. The Legacy is designed to accommodate a wide variety of events and gatherings. With a large selection of vendors and packages you will have the ability to make your dream wedding come true. “Whether you’re seeking a beautiful chapel wedding or outdoor ceremony, formal or informal, modern or traditional, classic or conservative, or theme-oriented” this venue is the right pick for you. 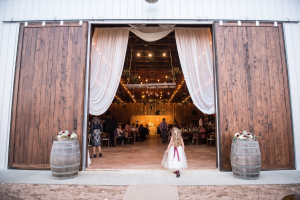 With 62 acres of land, a red barn, large reception area with a sound system and a large screen to show videos this venue has the complete wedding package deal. This outdoor venue has indoor area with air conditioning and heat lamps just in case of weather conditions. This venue is where weddings become a happy memory. “Nestled among towering shade trees, antique rose gardens and serene lakes, Chandler’s Gardens is a hidden treasure awaiting to be discovered by you.” With four settings in one venue Chandler’s Garden provides a rose garden, secret garden in the woods, a lake side view, and a Tuscan Pergola. The receptions are beautifully structured to fit any need that the bride and groom can imagine. A wedding venue with an incredible indoor and outdoor setting options that best fits your marriage expectations. With amazing scenery and beautifully crafted architecture you will get that picture perfect moment. 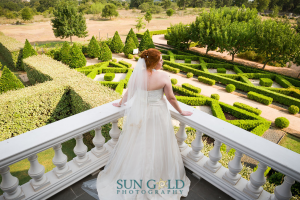 As a vineyard and wedding venue you will be leaving speechless on how amazing your wedding turned out to be. A charming place to hold your wedding Schneider Hall has the best accommodations for the most memorable moments in a marriage. Operational since 1930, this venue has a rich history of hosting weddings while having the experience to back it up. The venue can hold up to 1,000 individuals while making the event spacious and enjoyable for everyone who attends the event. A beautiful barnyard experience while showing off your special day is where The Vine shines at excelling. This venue is a vineyard giving your wedding a fruitful and memorable setting. This venue will accommodate for your every needs, therefore making your day a stress-free one. “The Gardens of Cranesbury View offers your Wedding dreams to become an enchanting story book reality.” Well-tended gardens with a beautiful reception area this venue can create long lasting memories for your special day. This venue is most distinctive than most wedding venue, but can shine brighter than the rest of them. Beautifully built architectural marvel, this venue is where weddings happen. The landscape can be seen with illuminating structures and well-tended buildings that make this venue picture perfect. This is the place where you make memories while, smiling and laughing together as a family. This venue has more of a homelike atmosphere where spending time with family is in a fun and familiar location. You can expect perfect hospitality and a flawless wedding day celebration. 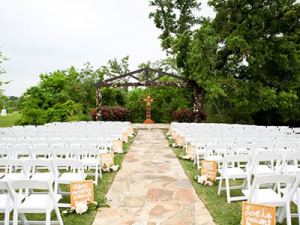 Experience a wonderful wedding with little to no stress involved in this down-to-earth venue. A family owned and operated rustic wedding venue that will make your special day shine. 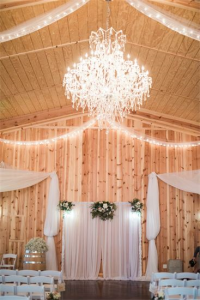 The 5,000 square foot shabby-chic, cedar barn makes any wedding feel like it’s in Texas. This venue has breath taking bridal suites, outdoor and indoor ceremony areas, and dining room area. 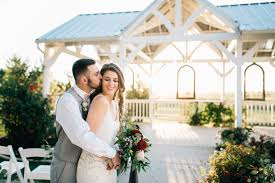 Peacock River Ranch is the best spot to get married with an ageless barn that brings a rustic elegance to your reception. This venue has wedding packages that range from small to large weddings making this venue affordable. 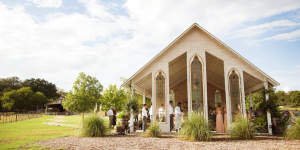 Bear Creek is a small outdoor wedding venue with an old world style chapel, covered dance area and decks and bridges near the oak trees. 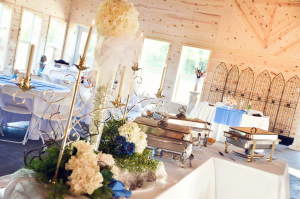 The house is equipped with a caterer setup area, bridal suite, and a grooms’ room off the outdoor patio and fireplace. Bear Creek provides wonderful wildlife encounters and is a great escape while having your special day become a cherished memory. The Room on Main will provide a comfortable environment while being impressed by every detail. 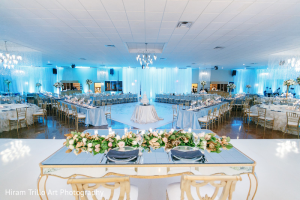 The venue has the one of the best receptions in Dallas County while having a large hardwood floor to dance on, catering, and staff members to make your day truly special. 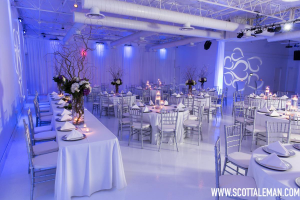 A unique venue, Nuvo Room will blow you away with the atmosphere and scenery. This venue gives choices on what food you want at your wedding, the environment, and even the color of the wall. Unlike most venues, Nuvo Room includes all the tables, chairs, floor length black or white linens, plateware, black or white napkins, a set of lounge furniture, uplights and cocktail tables all in the rental fee. 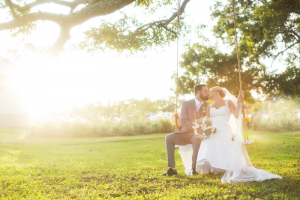 Charleston Sky is a venue can create long lasting memories for that special day. This Northeastern Texan venue is family owned, which means that they have experience behind their back. 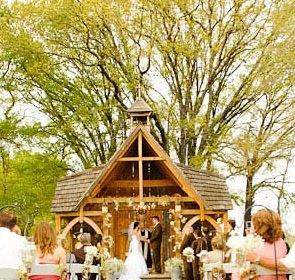 This venue is the perfect spot for that rustic setting on the hilltop to get married at. The Grove specializes in making your wedding unique and exceptional. The Grove provides stunning views and excellent hospitality. Since this venue has indoor and outdoor settings to choose from, you can plan your wedding exactly how you imagined it. 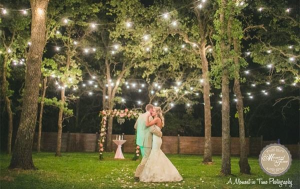 With a hillside view, cobblestone courtyard & strung lights this venue has all the requirement of creating long-lasting memories of your special day. This venue has a team of staff members ready to create the perfect and stress free wedding that can be only found in your dreams. Grace Gardens is a visual marvel of a wedding venue that can make your special day a dream come true. This place is known as the West Texas premier event venue that continues to improve for the complete satisfaction of the soon to be married couple. If you enjoy food and the unique type of atmosphere then this venue is for you! This venue is equipped with an event center, garden nursey, outdoor living landscape, and a well-accredited kitchen. This venue has multiple event rooms to choose from so don’t be afraid to get a little creative when planning your wedding at 150 Sunset. 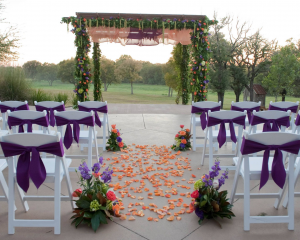 Hidden Waters offers an outdoor ceremony site with an indoor transition option should Texas weather be an issue. 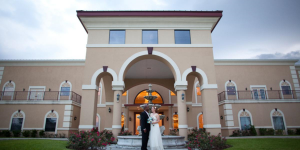 This venue has a Tuscan style setting with the choice of making any alterations if needed to fit your wedding style. With historic background and well-tended scenery this wedding venue is perfect for that special wedding. A timeless southern setting with rich land and designed to make your special moment an everlasting memory. This venue has excellent indoor and outdoor settings to choose from. 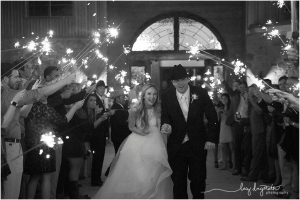 With a one-of-a-kind atmosphere and amazing staff, your special moment can truly shine in Texas. This venue has multiple features that will blow you away. 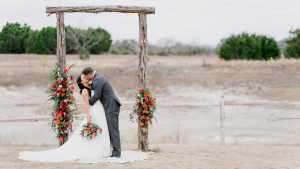 From rich sunset farm land to a beautifully crafted rocky alter this venue is rich with Texan culture. This venue is affordable with multiple venue packages to make your day a memorable and stress-free one. 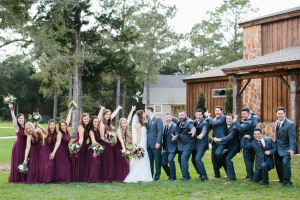 “The N at Hardway Ranch is where rustic meets elegance.” This venue is a picture perfect place to get your priceless wedding party popping. Where quality matters and where dreams come true, you can’t go wrong with The N at Hardway Ranch. 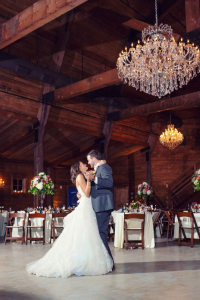 To Moon River Ranch your wedding day is the number one priority and will be done with great elegance. 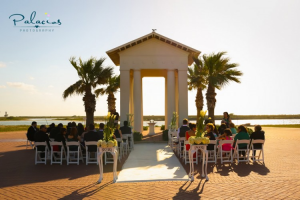 This venue offers breathtaking views, cascading waterfalls, shimmering pools, swaying palms and the tranquil Brazos River. You can create charitable moments with your loved ones by creating your dream wedding at Moon River Ranch. An authentically vintage venue designed to make your wedding day feel special and meaningful. This venue is well preserved with renovations to make the chapel up-to-date to today’s standards. 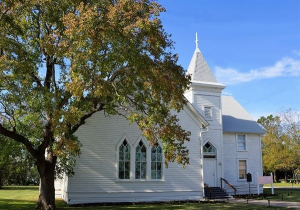 If you dream of a classic little white church wedding, you will love Heart of Texas Wedding Chapel. 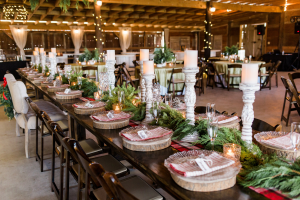 A well-designed venue with affordable options, you can’t go wrong with The Farmstead in Texas. 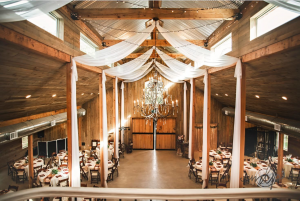 Designed as a rustic barn venue this venue provides that classical Texas feel with the family oriented hospitality. This is the ideal spot to get married and make memories. This venue pays close attention to fine detail and provides breathtaking features that will make your special day memorable. Grand Ivory is a custom-built wedding venue perfectly tailored to host unforgettable celebrations. 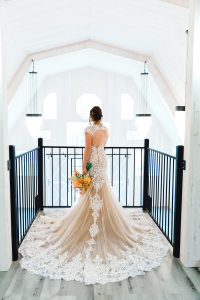 Located with 18 acres of natural beauty, this venue includes an exquisitely designed barn, intimate chapel with scenic views, and full-service cottages to serve as bridal and groom suites. Beautiful and open venue that provides the married couple with an incredible day. This venue is operated by a couple who specialize in agriculture and wedding arrangements. This venue is open to venders and alterations to make your special day perfect. An affordable and marvelous venue for you and your family to celebrate your special day. 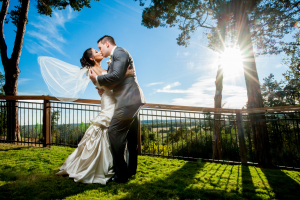 With stunning and elegant scenery, The Villagio make for a picture perfect wedding day. This venue comes with great catering and hospitality services wot make your special day a stress-free one. An unbelievable chapel wedding venue, the Briscoe Manor offers amazing visual settings, as well as, the ideal wedding planning services. 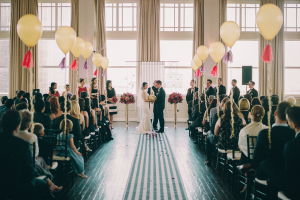 This venue can make the “Lone Star” state feel like the “Wedding State”. 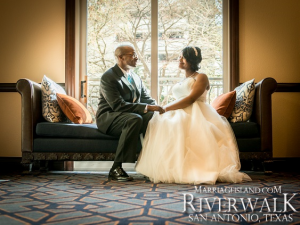 This true and elegant taste of Texas, makes Briscoe Manor the perfect location for any dream wedding. 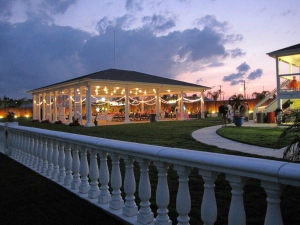 Galveston Island Palms Outdoor Events and Parties features 29,000 square feet of beautifully landscaped outdoor space and a 2,500 square foot covered pavilion. This spacious venue offer catering, as well as, self-catering to give you the choices need to make your dream wedding possible. 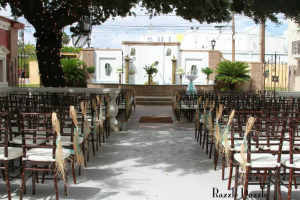 Roof Gardens is a charming and vintage venue that offers that sophisticated Texas atmosphere. This venue provides elegant architecture and warming atmosphere you can’t find anywhere else in Texas. 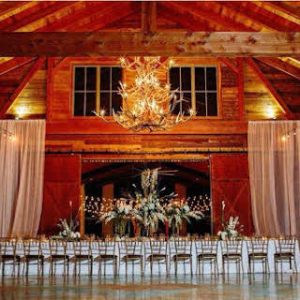 Dove Hollow Estate is a 4,000 square foot barn with high ceilings featuring gorgeous industrial teardrop glass chandeliers that will ensure you an elegant and memorable wedding. Arabella Manor believes that your wedding day is a treasured event that must be taken seriously. 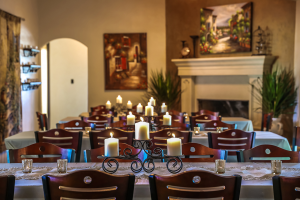 This venue is prepared to cater to your special requests and offers multiple service ranging from planning a stress-free to providing meal services. 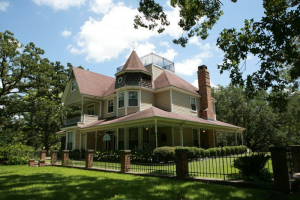 Gruene Estate spreads over 15 acres in New Braunfels, Texas giving you that widespread authentic Texas environment. While Grune Estate prepares the location, you can choose the catering, photography, and florist designing to create that perfect wedding. 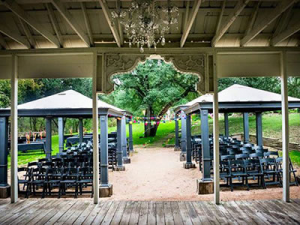 This venue is affordable with options for weekend weddings, so come to Gruene Estate for that elegant and peaceful barnyard environment. This venue is a unique location for that special day and a venue that has 100 years of experience. This venue has all the necessary requirement for a perfect wedding such as, a chapel, catering prep kitchen, bridal and groom suite, and much more. 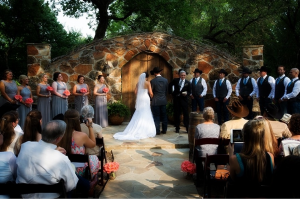 A unique and spectacular venue, the Bell Tower on 34th is known as the most popular wedding venue in Texas. The quality of service is unbelievable and the atmosphere is unforgettable. Everything at the Bell Tower on 34th possesses high quality assortment and catering services. Experienced planners and amazing options, Signature Manor is a stress-free wedding venue that will make your dream come true. This venue has multiple packages to choose from making this venue an affordable one. The vendor that this venue provides is limitless ranging from decorations to cuisines. 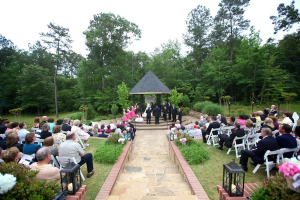 Located in East Texas, Carriage Place is the best location for that outdoor or indoor wedding reception. With constantly updating features added to the venue your wedding will not just be up-to-date, but will be modern and stress-free. 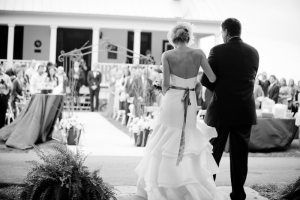 Carriage Place will make your dream wedding come to life. 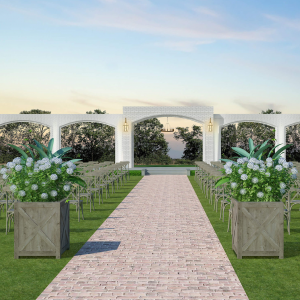 Le San Michele is a European-style limestone home-turned-event space that will cater to your wedding needs. This is a very open and historic venue that is flexible to meet your specific request. 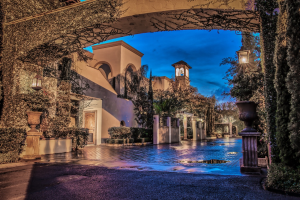 Le San Michele is a wedding venue beyond comparison and will provide great memories while in Texas. 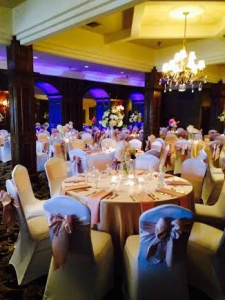 Redbud Hall provides generous amenities and experienced staff willing to help you create that special occasion and beat your exceeding expectations. This venue will tailor to your personal style making it fantastic and affordable. 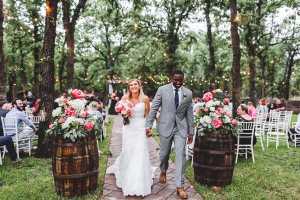 With four venue site to choose from (Redbud Hall, Sage Hall, Stone Hall, and Tejas Hall) you will leave this place not just married but with timeless memories. 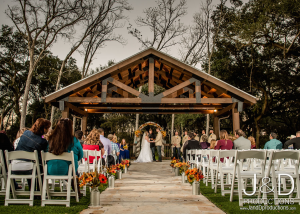 At Stone Oak Ranch, you will experience a stress free environment and more than what you expected from a wedding venue. 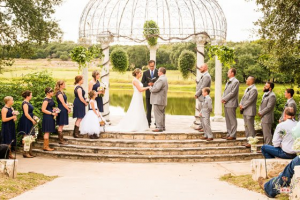 You will experience a real wedding with all the accommodations they offer, such as, a beautiful outdoor chapel, outdoor pond for those incredible photo moments, beautiful table arraignments, and a stunning outdoor barn where Stone Oak Ranch truly gets its name. 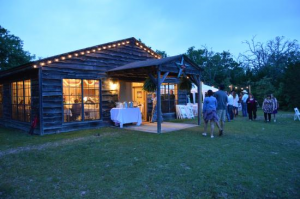 Anding Acres, located in the east coast of Texas, offers exclusive use of its facilities, including the barn reception space, public restrooms, kitchen, bridal suite, groom’s quarters, outdoor ceremony sites and dance floor. This venue is also open for alterations for decorations and themes to give your wedding day that unique perspective. This is a simple, but lovely environment for that special wedding day. 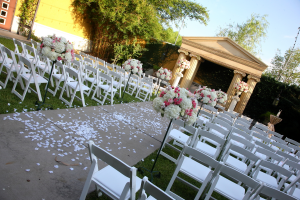 Wisdom Hall Texas offers a full-size dressing room for both Bride and Groom, outdoor pavilion area for those beautiful outdoor events, and multiple catering options to choose from. 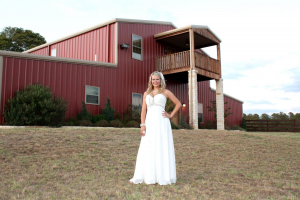 Big Sky Event Hall in Royse City has a beautiful outdoor ceremony pier to host your nuptials, and we can accommodate up to 300 guests with our indoor/outdoor seating areas. Big Sky provides the tables & chairs for both the ceremony & reception, while setting it up for you making this venue a stress free one. 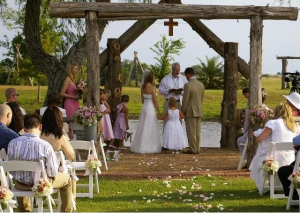 Broussard Farm is a working ranch, private residence and the heart of many special marriages. This venue was built in 1857 giving it history and experience. 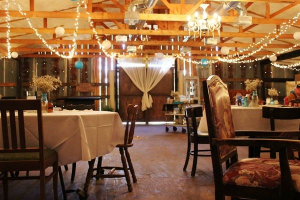 Broussard Farm offers the Sevenne Hall, which is a dance hall with all the up-to-date equipment and The Barn, which acts as a private gathering area for weddings, rehearsals, bridal showers, etc. 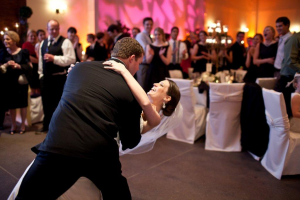 Enjoy memories for a lifetime when you plan your wedding at The Neches Room. This venue specialize in creating an elegant and picturesque wedding for you and your family to enjoy. As a locally owned venue bringing years of experience when it comes to planning and celebrating your big day. 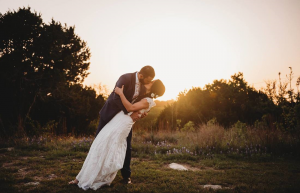 Five Oaks Farm is a professional wedding venue that is part of the Cleburne, Texas wedding industry. 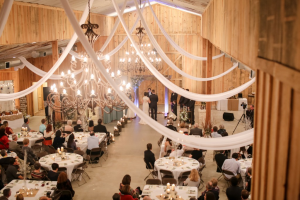 This venue allows you to rent out the amenities, such as, an additional barn, ceremony site, service bar, round tables, podium, chairs, and much more. This venue is a photographer’s dream come true as the landscape and architecture is unbelievable. 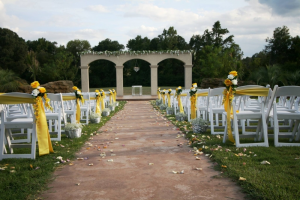 Thistle Springs creates an ideal setting to make your wedding dreams a reality. This venue goes straight into detail for its ability to take your wedding seriously and make your dreams possible. Thistle Springs provides the best communication between staff and client, eventually creating that lasting relationship and stress free environment.